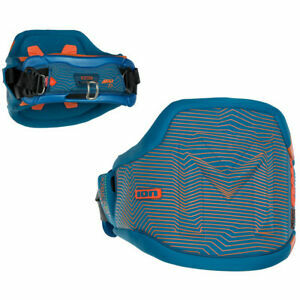 The Freestyle harness with a slim outline cut developed by ION team rider Gollito. The harness provides a maximum of flexibility thanks to the flex cut construction of the backpart. A perfect fit is guaranteed due to the new inside X-Spine/neoprene construction. The new Contour shape 2.0 gives the rider a higher support; the pre bent wrap tec guarantees a perfect fit of the harness. Simply trust in Gollito’s choice: a harness which enables you to do all tricks you are dreaming of. Seguici su www.twkcshop.it ,novita' sui nuovi arrivi!attrezzature sportive occhiali sportivi,fashion,orologi,accessori kitesurf,windsurf, surf e sup,abbigliamento uomo donna e bambino,usato garantito,assistenza post vendita,questo ed altro sul nostro sito online! Follow us on www.twkcshop.it.it, news on new arrivals! sports equipment, sports eyewear, fashion, watches, kitesurf accessories , windsurf, surf and sup, clothing for men, women and children, used guaranteed ,after-sales service, this and other on our online website!